According to SBS News Australia, the 26-year-old who goes by the name Evie Amati stood on trial this past week, telling a jury that he drank vodka and took a pill believed to be ecstasy on Jan. 7, 2017 during a date with a woman and her roomate, and soon after began hearing “inaudible whispers” that turned into actual instructions. He said that he was in a car with his date on the way to a bar, but thought that she and her friend were talking about his gender identity, so he got out and walked the rest of the way home. During the walk, the whispers began, and Amati tried to combat them by smoking marijuana on his balcony. The whispers became louder after the first joint, so he smoked another. He then played his favorite heavy metal song to try to get rid of the voices. “Send an angel to pull me from the Hell below/This weight is far too much to own and this body doesn’t feel like home/Send an angel; I feel I’m dying all alone/So lift me up or let me go because this body doesn’t feel like home,” the lyrics state. “I only really had one more memory … that voice that had been telling me to kill and maim, and inflict pain on people and start the rise of Hell on Earth,” Amati said. He said that a “sinister smile” also came over his face, which he could not control. He said that the next thing he knew, he woke up in the hospital. 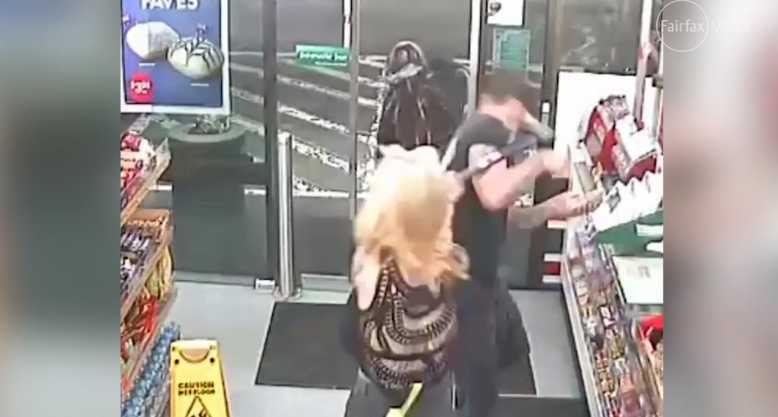 However, in the meantime, surveillance footage from 7-Eleven shows Amati talking to another customer and then striking him with an axe moments later, along with a woman who was exiting the building. Both survived, but one suffered massive trauma to his face, narrowly avoiding potential life-threatening injuries. Amati was charged with two counts of causing wounding or grievous bodily harm with intent to murder, along with four other counts. He has pleaded not guilty and has expressed remorse. According to News.com.au, Amati’s attorney told the court that Amati was “out of [his] mind” when the incident occurred.